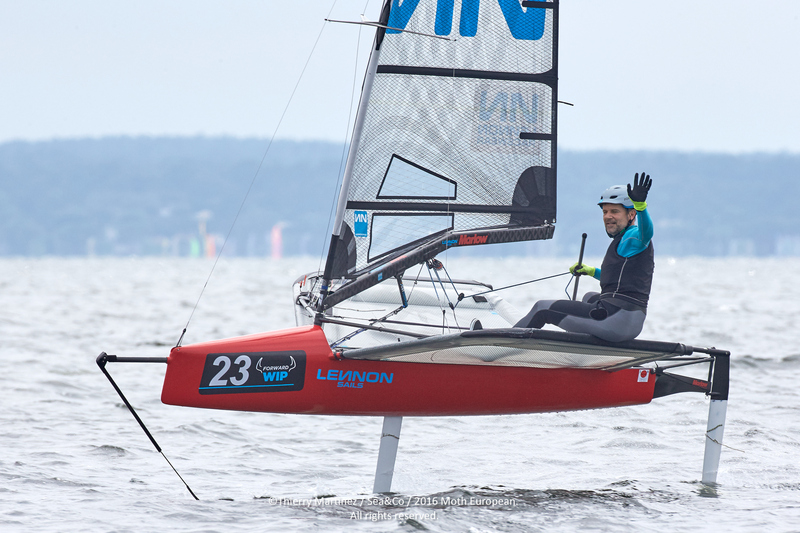 Mike Lennon has taken a handsome win at the Moth Europeans in Bordeaux, France. The regatta was held at the Cercle de la Voile de Bordeaux Carcans-Maubuisson (Gironde-France), at Lake Hourtin. Located in the Médoc, fifty kilometers from Bordeaux, in the Landes du Médoc, the Cercle de Voile de Bordeaux has the largest natural freshwater lake, with sandy beaches in an unique forest reserve. Previous Paul Goodison is the 2016 World Champion!